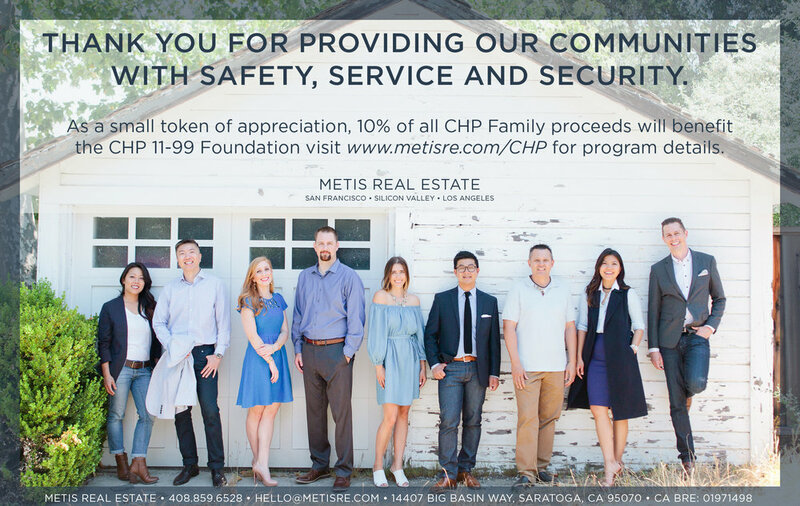 METIS Real Estate is a proud supporter of the CALIFORNIA HIGHWAY PATROL 11-99 FOUNDATION. In an effort to further our contribution we are donating 10% of all proceeds from active-duty and former California Highway Patrol officers and their immediate families to the CALIFORNIA HIGHWAY PATROL 11-99 FOUNDATION. Clients must disclose California Highway Patrol employment, or affiliation before validating any service contract. Full 10% is only valid in geography directly served by METIS. 10% of referral fee (when referred by METIS) to all areas that are not directly served by METIS. Best number to call or text you.